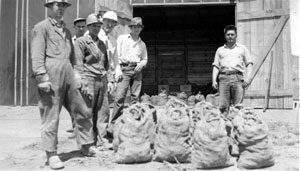 e. Lease for the Free Enterprise Uranium Mine was acquired and excavation proceeded. 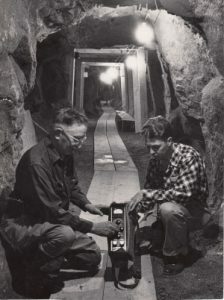 A Los Angeles woman, visiting with her husband in the summer of 1951 for the purpose of stock investment, noticed that her bursitis disappeared after several visits to the underground workings. Relaying the incidence of benefit, word spread and the stampede began. Pain sufferers demanded access even while mining continued. Nearly 1,000 people were permitted to visit for observation purposes only. Reports of pain relief ran so high that the operators were compelled to initiate revision of the mining operation into the health destination that it is today. Lewis managed the health mine for 21 years until his death at the age of 81. His dedication culminated in a discovery that has benefitted generations for over half a century. Management under the ownership of Lewis’ great grandson, Ryan Lewis, and his wife, Leah Lewis, continues to this day.